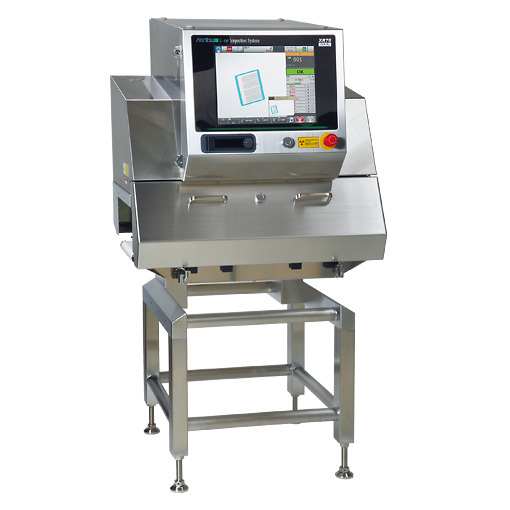 The XR75 makes x-ray inspection more affordable to purchase, own and operate. The highly engineered high sensitivity x-ray generator and sensor provide outstanding sensitivity at lower energy levels. The result is superior performance, extended life of cycles and reduced true cost of ownership. 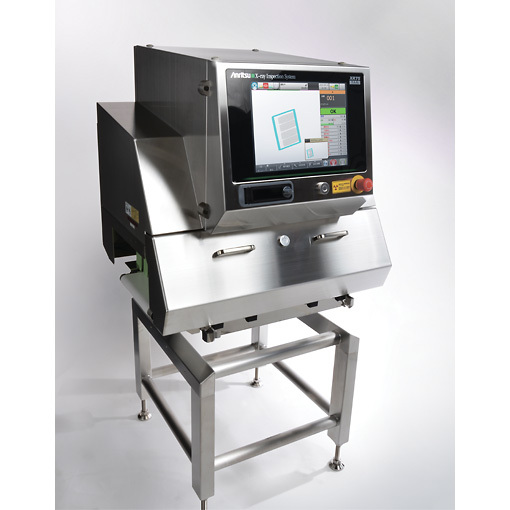 The low output x-ray generator reduces heat generation, eliminating the need for cooling system, resulting a 30% reduction in power consumption. *1) Comparison with conventional models with air-conditioner. *2) It is the estimated value by Anritsu and may vary depending on the usage condition of machines. ＜Simple step-by-step product setup＞ Product Registration Navigation simplifies parameter setting procedures with step-by-step illustrated instructions. 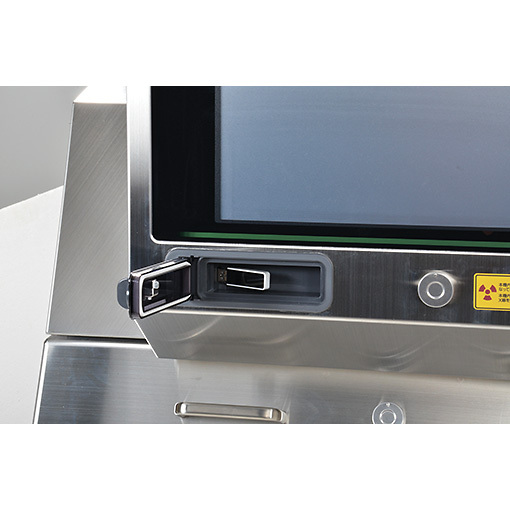 ＜Easy to adjust sensitivity＞ An x-ray processed image and a projection monitor on which detection signals are shown graphically are spotted vertically on the screen. The detection limit value can be easily adjusted. 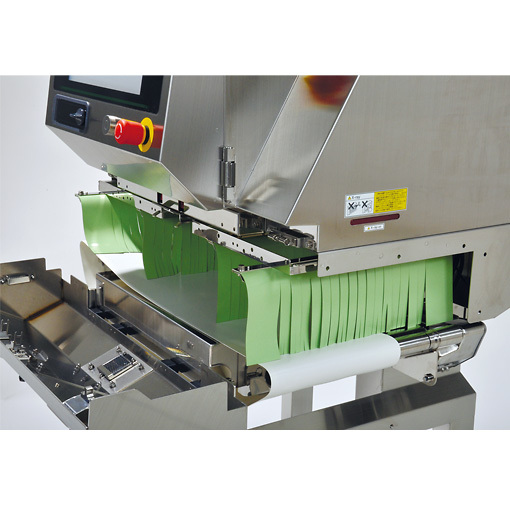 No tools are required for removing/attaching the conveyor belts and rollers including the front cover and x-ray leakage prevention curtains. 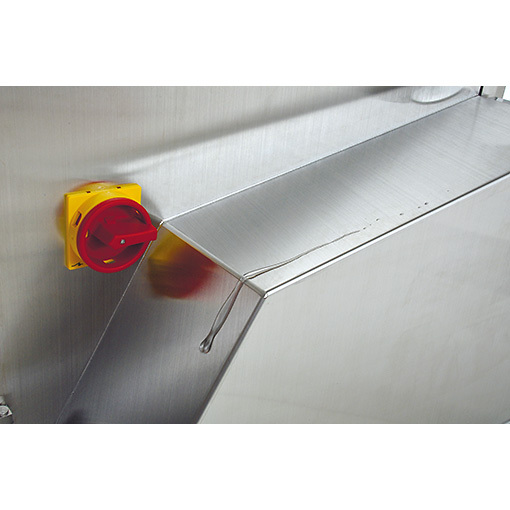 The system's angled surfaces prevent water from accumulating after system cleaning. 1: The detectable area is shown above. 2: The entrance and exit may require covers depending on the length of a product. 3: Variable depending on Product No. 4: Sum total of product weight on the conveyor. 5: Allowable power fluctuation range in ±10%. 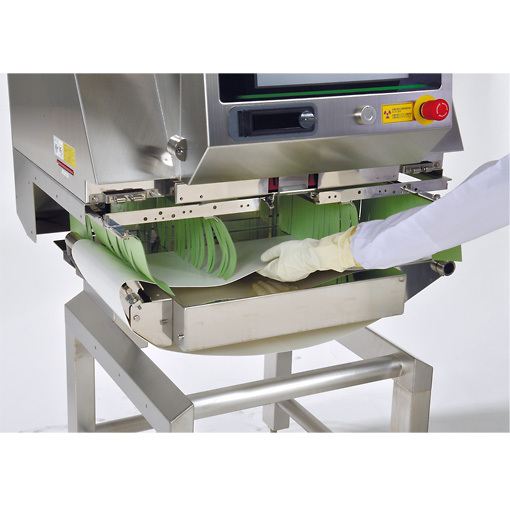 6: Mass without option 7: Belt speed and maximum product weight are restricted at the temperature between 30℃ and 35℃.